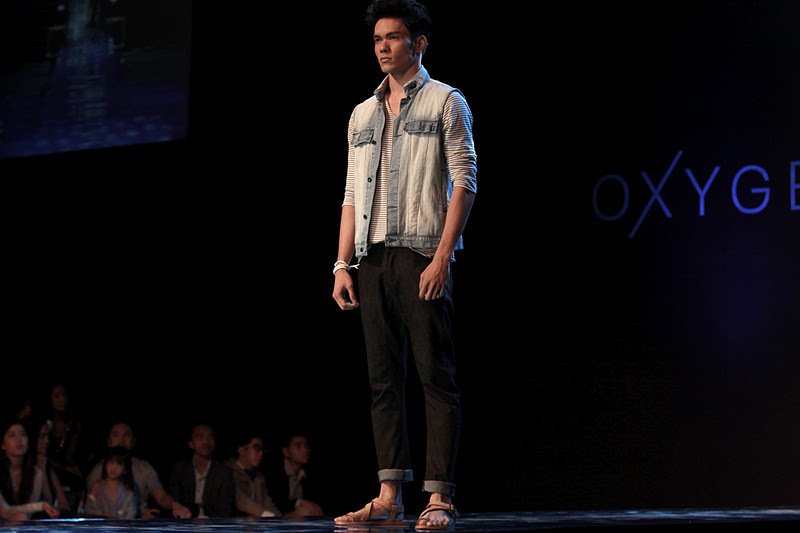 Finally, I got to witness Oxygen's SS 2012 collection last Friday. It was absolutely one of the shows i had been anticipating to watch last week. 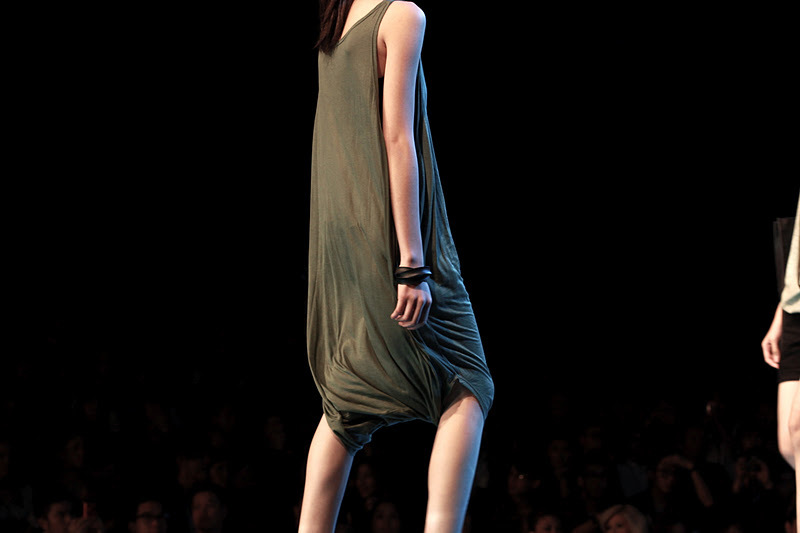 Oygen's edgy holiday collection last season totally blew me away so I knew it was a hard act to follow. But once again Oxygen redeemed itself. 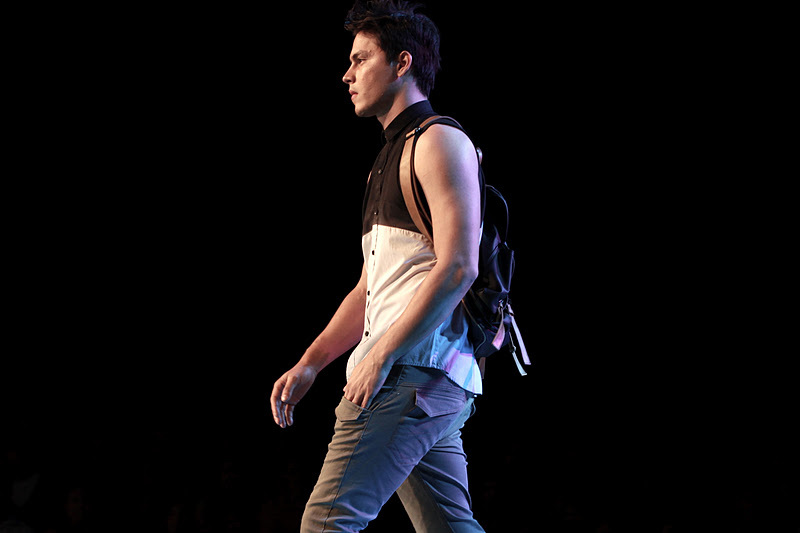 Indeed, it is a force to reckon with its casual yet stylish ensembles from its latest collection. 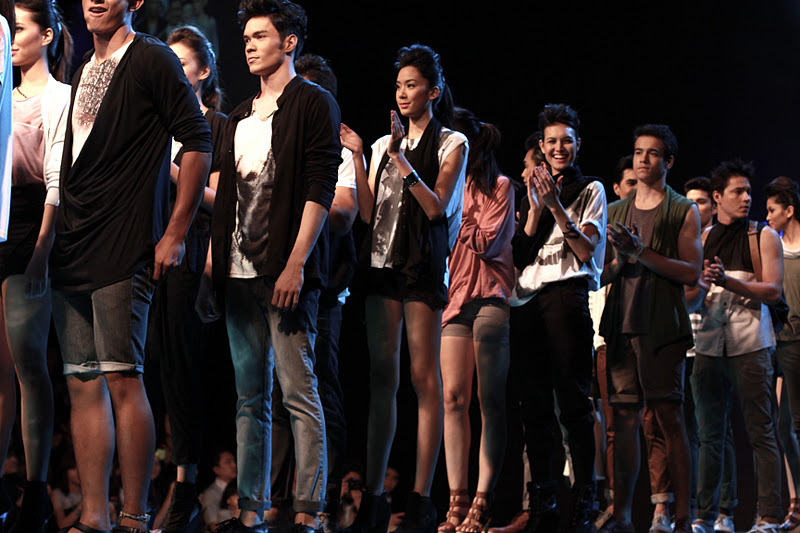 Although I have to admit that their previous collection was still better than their latest one. 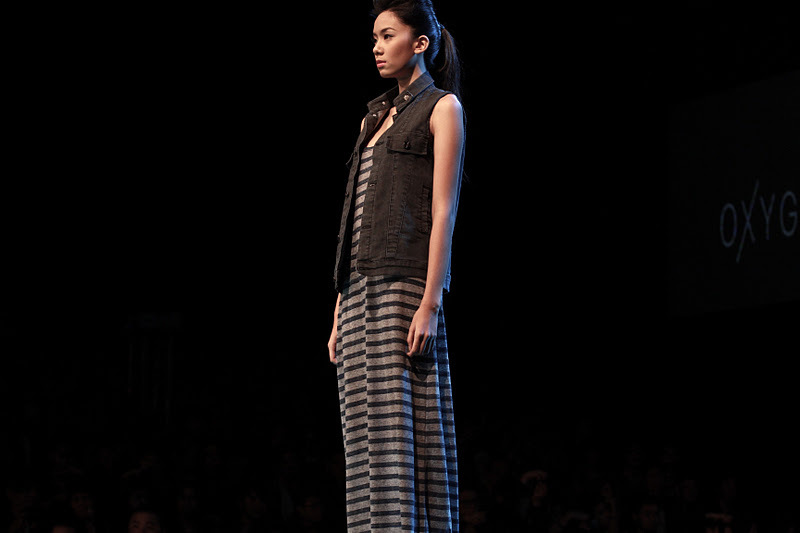 The styling was definitely much commercial-looking compared to their previous collections. I suppose it's their way of appealing to a wider market. 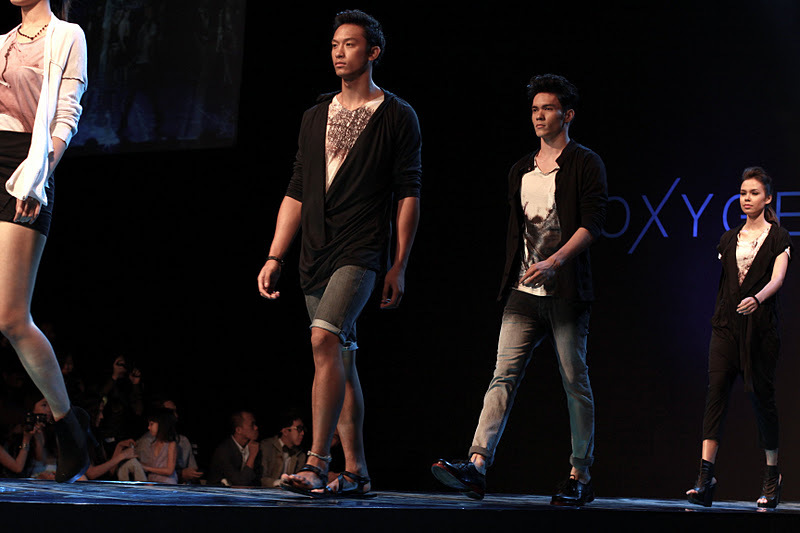 Oxygen's sudden shift to a more casual dressed-down collection from their fancy holiday collection was quite a shocker. 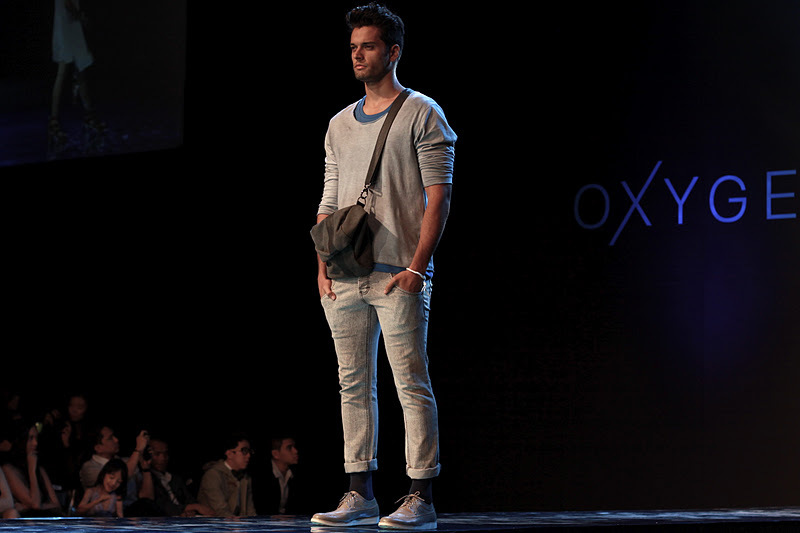 Moreso, Oxygen deviated from their usual mostly monochromatic ensembles. 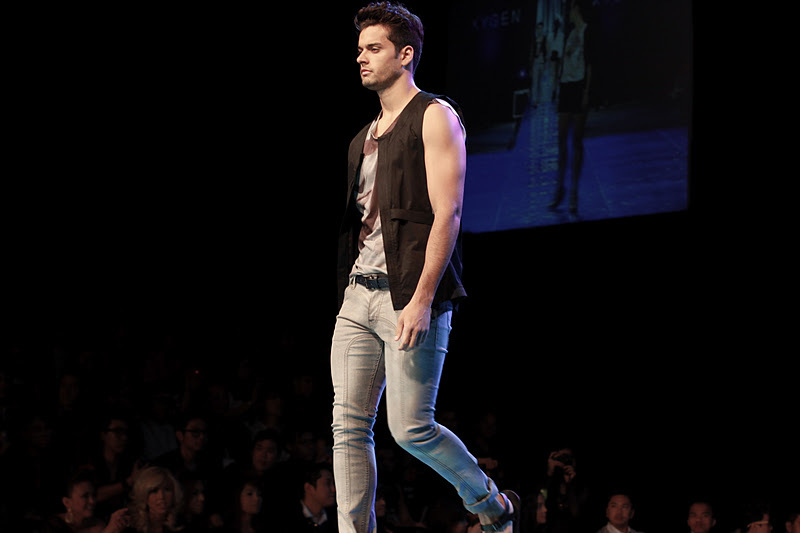 Instead, shades of blue, green, yellow, pink and brown mixed with the usual blacks, whites and greys dominated the runway. 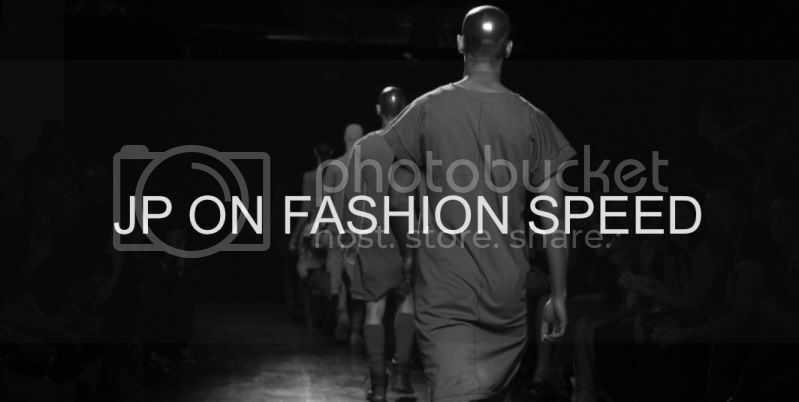 Having said that you can still see Oxygen's signature touch upon closer inspection of the garments. Oxygen stayed true to its identity by paying close attention to little details. Indeed, there are several covetable pieces from this collection like the sleeveless polo shirts, double-layer long-sleeves, oversized blouses, drapey tops, maxi dresses, waistcoats, rompers, drainpipe denims, asymmetrical cardigans and the list goes on. 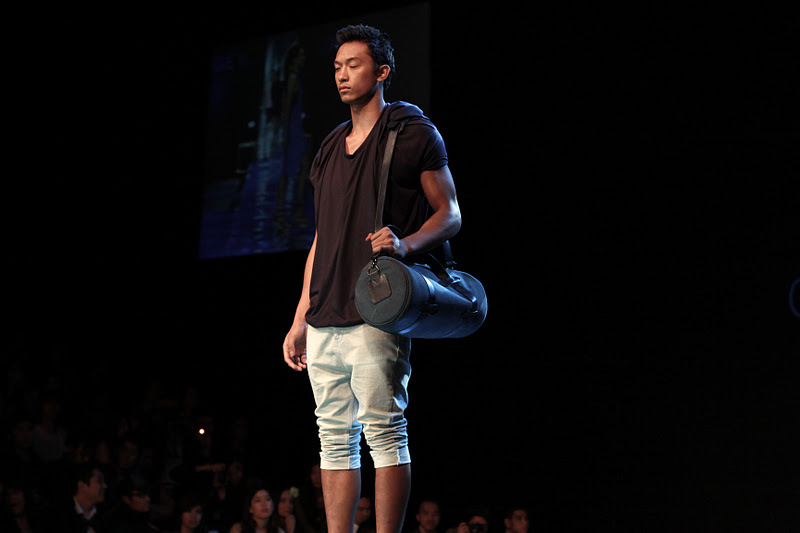 And of course, we all love the Oxygen Marcella Gutierrez printed tees. 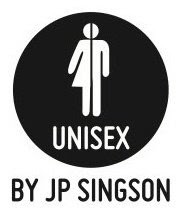 So far, I have gotten two tees from this amazing collab! 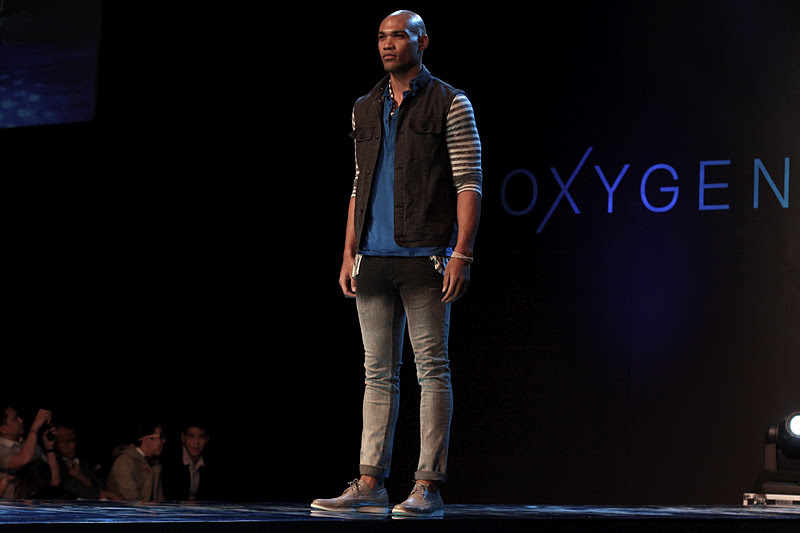 Oxygen continues to reinvent itself season after season in order to keep fashionistas like you and me on our toes. 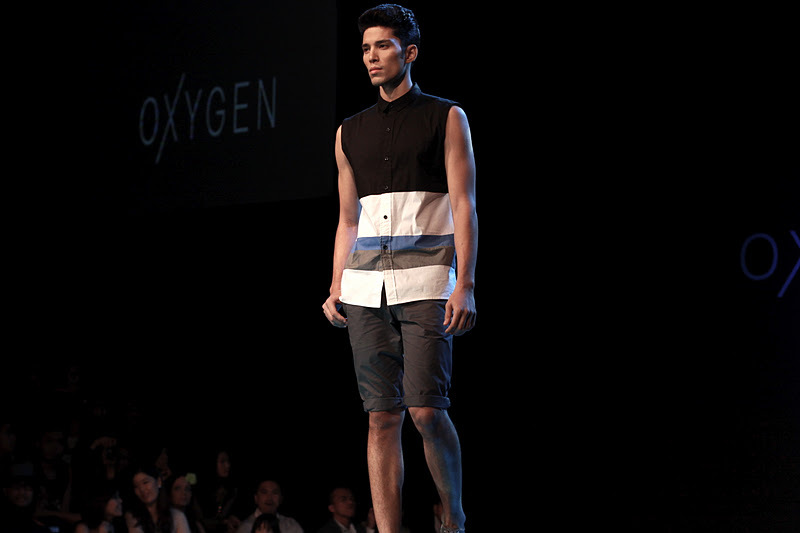 Kudos to Oxygen for another stylish yet wearable collection! I wonder what Jeff Bascon is cooking for next season? I guess we all have to wait and see. In the meantime, start saving up guys so when summertime comes along you will have enough moolah for some pretty dope summer outfits! Special thanks to Cholo dela Vega for giving me and my Mom front-row seats! We both had a great time!